We’d love your help. Let us know what’s wrong with this preview of The Last American Vampire by Seth Grahame-Smith. In Reconstruction-era America, vampire Henry Sturges is searching for renewed purpose in the wake of his friend Abraham Lincoln's New York Times bestselling author Seth Grahame-Smith returns with the follow-up to Abraham Lincoln: Vampire Hunter--a sweeping, alternate history of 20th Century America as seen through the eyes of vampire Henry Sturges. To ask other readers questions about The Last American Vampire, please sign up. I just accidentally bought this book without realizing it was a nr. 2. Can I read this without reading nr 1, or do you recommend starting with 1? Carrie ♠ I already read the first book, am I am currently listening to the audiobook (I didn't know at first it was a Number 2). I would say better to read the…moreI already read the first book, am I am currently listening to the audiobook (I didn't know at first it was a Number 2). I would say better to read the first book, as there could be some spoilers. I think it would also flow better. Tori Without spoiling the book, please go ahead and read it. Some twists and turns happen and not everything is as it seems. The Last American Vampire is the sequel to Abraham Lincoln: Vampire Hunter, a book that I haven't read (yet). In this book, we follow Henry Sturges through the centuries. He has seen it all he has seen America throughout the centuries becoming the land it is today. He has traveled to his homeland England for the first time since he became a vampire. He has met many quite famous men like; Bram Stocker, James Irving, Arthur Conan Doyle, Mark Twain, Nikola Tesla, Teddy Roosevelt, Rasputin, Eliot Ne The Last American Vampire is the sequel to Abraham Lincoln: Vampire Hunter, a book that I haven't read (yet). In this book, we follow Henry Sturges through the centuries. He has seen it all he has seen America throughout the centuries becoming the land it is today. He has traveled to his homeland England for the first time since he became a vampire. 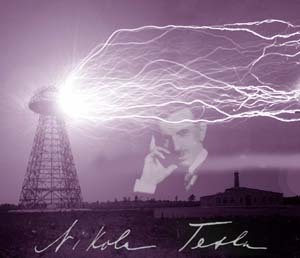 He has met many quite famous men like; Bram Stocker, James Irving, Arthur Conan Doyle, Mark Twain, Nikola Tesla, Teddy Roosevelt, Rasputin, Eliot Ness, FDR, Howard Hughes and Jack Kennedy. He even met Jack the Ripper! But deep in the shadow is an enemy lurking, someone called A. Grander III, but no matter what Henry does or where he goes he just doesn't seem to be able to find this A. Grander III. This mysterious enemy seems to want to bring chaos into the world. This was a really good but sometimes tedious book. Don't get me wrong, I loved seeing into Henry's life, getting insights into his head and seeing all the things he has done past and present. The list of historical figures that came through was impressive and for a couple I had a few giggles. A couple of times my mouth even dropped open. The two parts of the story I really hoped the author would do happened and I eagerly devoured them, going over them in my head before continuing on. My ancestor got a mini-mention haha... that was just awesome :). The villain of the story was well done and not what I expected. She was cruel, calculated, smart, and crazy... a worthy opponent. The uncovering of her identity by a certain someone was amusing, well to me anyway.. .seeing Henry speechless. Plus, a certain other element came into play that had me almost jumping up and down :). kept repeating himself in a way. Other than those and a certainly exciting and surprising/one part sad but satisfying ending, I didn't enjoy the latter part as much. It felt like some parts could have been edited or left out perhaps. Also, while some of the footnotes add to the story, others were merely distracting. Mr. Grahame-Smith does a great job weaving these stories of Henry's existence together with historical events and making them so seem plausible/real.. Making you think "What if" in some cases (fun to play). I would recommend this, it's a great book overall and I would love to here more about Henry one day if there's a new tale to be told :). Check out Carole's awesome review of this book as well :). This book first came to my attention because of the cover which I absolutely love. I really enjoyed reading this book. I found some sections of the book were amazingly good while other sections seemed a bit tedious for me. Overall, I liked it and found it to be a worthwhile read. This is the first book by Seth Grahame-Smith that I have had a chance to read and while this is listed as a follow up book to Abraham 1/13/15: Now Available! This book first came to my attention because of the cover which I absolutely love. I really enjoyed reading this book. I found some sections of the book were amazingly good while other sections seemed a bit tedious for me. Overall, I liked it and found it to be a worthwhile read. 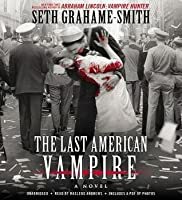 This is the first book by Seth Grahame-Smith that I have had a chance to read and while this is listed as a follow up book to Abraham Lincoln: Vampire Hunter, I thought it read just fine as a stand alone novel. I can't remember reading any other book that would be classified as an alternative history before reading this book so I went in not knowing what I should expect. I was not surprised that the book included a long list of important historical figures and events from the past several hundred years. I really enjoyed how so many people from the past found their way into this story. The author choose very well know people and events to include in this story and it was fun to imagine the possibilities. I was a bit surprised by the style used to write this book. This book read very similarly to books that I remember from history class packed with photos, footnotes, and excerpts. 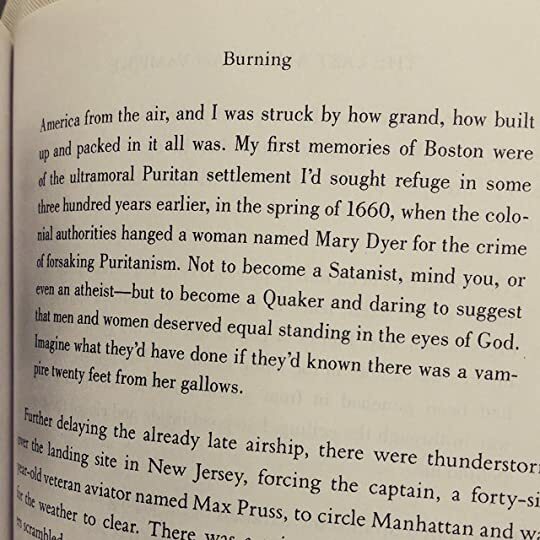 I could not believe the number of footnotes that were a part of this novel. Sometimes, I felt like the footnotes didn't add anything to the story but just gave a tedious unrelated detail. I didn't mind that the book was written with footnotes but I do wish that only ones that really added to the story were included. The photos included in the book were really fun and I thought that they really brought a lot to the book. There were a lot of excerpts from Henry's journal so the voice the story was told in shifted often. This book told the story of Henry Struges. Henry Struges was a close friend of Abraham Lincoln and I believe he had a major role in Abraham Lincoln: Vampire Hunter. Henry Struges is also a vampire and has been one for quite some time. This book focuses on his life and his encounters with many historical people and events. This book focuses mostly on the period of after the civil war until present day with some focus being given to the very beginning of our nation, actually when the English first started to settle in the New World. One of the main problems that I had with the book was that it read very much like a compilation of short stories. We would learn about one event in Henry's life and then move on to the next with only a very small thread holding everything together. I would have liked to see everything tie together more strongly. It was very nice to read a vampire book that had absolutely no focus on romance. I would recommend this book to others that like a good vampire tale especially fans of Seth Graham-Smith. This is the first book by Seth Graham-Smith that I have read and I do plan to read more by this author. I listened to this on audio. It was a fun historical fiction story punctuated by gory vampire fights and famous characters of the times like Mark Twain, Sir Conan Doyle and Nikola Tesla. Fast paced and fun. Recommended! The Last American Vampire (audio) I listened to this on audio. It was a fun historical fiction story punctuated by gory vampire fights and famous characters of the times like Mark Twain, Sir Conan Doyle and Nikola Tesla. Fast paced and fun. The Last American Vampire by Seth Grahame-Smith is one of those quasi-historical alternative world geek trips that cannot be taken seriously. Following the story of Henry Sturges, the reader witnesses the world from the mid 1500's to the turn of the 21st century through the vampire lens of Sturges as he participates in many of the more famous events from this time period. Turning the last page of the book there's a feeling of -what was the whole point of the book-? Most of the events Struges witn The Last American Vampire by Seth Grahame-Smith is one of those quasi-historical alternative world geek trips that cannot be taken seriously. Following the story of Henry Sturges, the reader witnesses the world from the mid 1500's to the turn of the 21st century through the vampire lens of Sturges as he participates in many of the more famous events from this time period. Turning the last page of the book there's a feeling of -what was the whole point of the book-? Most of the events Struges witnesses, from the Roanoke mystery to the Whitechapel murders to WWII are treated with such a historical immaturity that they become almost meaningless. The addition of vampire influence to each of them, while sounding kinda cool at first, is presented quite shallowly and becomes too baffling. For example, Sturges turns Abraham Lincoln into a vampire and the two participate in a lot of operations directed by the US government, including one where Lincoln fights with the Russians on the Eastern Front during WWII. Uhhh huh? As puzzling as this is, all these events are very loosely connected by Sturges involvement in them. He meets many famous people from each era, including Tesla or Franklin Roosevelt, but there is such little characterisation it's quite laughable. Each character seems rather corny in the grand story of it all, and even the villain's motives are so mysterious it loses plot quickly. Every timeline presented is all to brief to really flesh out. Maybe if Grahame-Smith spent the whole novel in a particular time period (the Roanoke one for example) and fully fleshed out the story it could've become something a bit better, instead of the scatterbrain type plot presented here. Some readers may enjoy this novel, but with little complexity, arbitrary timeline, a bland main character, it begs the question: why? omg I freakin loved this book! Henry, please marry me!! the story was great and the characters were out of this world. my favorite part is when he meets Tesla and Twain. omg they were great! !yes, yes. you should read this book! In this spin-off of the author's "Abraham Lincoln Vampire Hunter", we get to see the life of Henry Sturges up to the current day. Henry was the vampire that taught Abe to fight the bad vampires. Think of this as a vampire version of Forest Gump. We see Henry before vampirism, and then throughout history as he interacts with the historic figures and events. And of course these events often had evil vampires involved either directly or pulling the strings. We see Henry throughout the major battles and wars, meet presidents, deal with the KKK, experience prohibition, and what really happened with the Hindenburg. I would periodically set the book down and look up the true history. The author does well keeping within known history and adding his twist to it. I enjoyed learning more details about the actual history. I did feel that the author inserted the vampire villian as an afterthought. Like he needed something to tie the story together. Somehow it seemed like a side issue for me. There is epic gore. 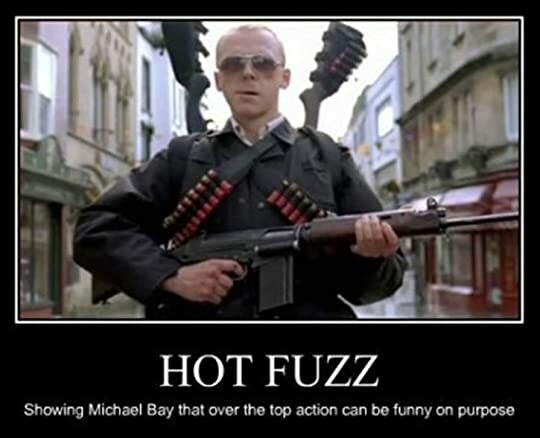 I can usually put up with the gore when it's told in over the top humorous fashion... think Simon Pegg and "Hot Fuzz"
And there were several moments like that in the book. However, there were some that turned my stomach. A few times in the book, Henry draws out the pain and fear in his victims tortuously because they are truly evil...and that's just not my cuppa tea. Some may feel it is slow at times, but the pace was fine to me. I really enjoyed most of this book. Read this book and solve the mystery of the disappearance of the Roanoke settlers; discover the identity of Jack The Ripper; how Rasputin really died; Howard Hughes deadly secret; the truth behind the assassination of JFK - and much more! Then, throw in more gore than Leatherface could let out with a zillion chainsaws! Terrific fun! I did have a few bones to pick with this book - mainly centered around how it largely fails to deal with either race or gender on what is basically a trip through Dead White Dudes of the Past Several Hundred Years - but for once I was actually able to 'get past' that for the most part and rate it five stars because it was just so ridiculously fun. You definitely have to take all the events here with more than a few grains of salt - as is true with most 'historical' fiction but Henry is an unexpe I did have a few bones to pick with this book - mainly centered around how it largely fails to deal with either race or gender on what is basically a trip through Dead White Dudes of the Past Several Hundred Years - but for once I was actually able to 'get past' that for the most part and rate it five stars because it was just so ridiculously fun. The Last American Vampire by Seth Grahame-Smith is one of those rare sequels that outdoes the original in both scope and vision. The first book is of course Abraham Lincoln: Vampire Hunter which is not as ridiculous as it sounds and far better than the movie that was made from it. This second novel begins soon after the first has ended, with the assassination of President Lincoln. His friend, and vampire, Henry Sturges filled with grief and not seeing how this young nation could continue forward The Last American Vampire by Seth Grahame-Smith is one of those rare sequels that outdoes the original in both scope and vision. The first book is of course Abraham Lincoln: Vampire Hunter which is not as ridiculous as it sounds and far better than the movie that was made from it. This second novel begins soon after the first has ended, with the assassination of President Lincoln. His friend, and vampire, Henry Sturges filled with grief and not seeing how this young nation could continue forward without their great leader does the unthinkable. He turns Lincoln into a vampire as well. But Lincoln, unable to accept this new existence throws himself out the window into the sunlight and burns. Sturges, alone must go forward and is called back to the land of his birth by the Union of Vampires to deal with a conspiracy that threatens both vampires and humans alike. Along the way he recalls his own turning at the hands of a vampire that had settled with the first English settlement in the Americas at the place known as Roanoke. He also becomes involved with Bram Stoker and Arthur Conan Doyle as they hunt the killer known as Jack the Ripper. 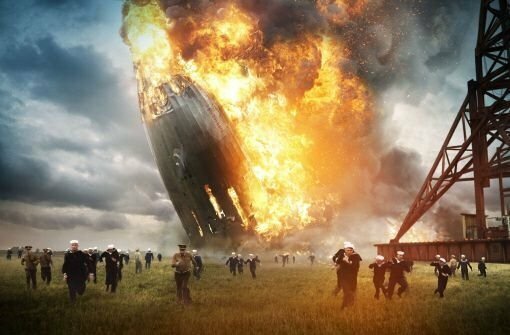 As time passes Henry becomes involved in conspiracies with Tesla, Edison, Rasputin, Mark Twain, President Teddy and Franklin Roosevelt, the crash of the Hindenburg and a failed attempt to murder Adolf Hitler. Sturges with the help of an old friend becomes something of a secret agent in service to the United States and his life is one long history lesson with humans and vampires alike battling for the soul of this young nation. What might have seemed to hamper this novel, the aspect of over a hundred years of history told through the eyes of a vampire, is in fact what makes it so entertaining and bold. Historic figures and happenings told through the eyes of one who would have lived it. With some being vampires and some human, but detailed in such a manner that the reader is left with a thought of, what if? Don't be misled though. These are not PG vampires, not your teen fantasy run of the mill blood suckers. These are monsters bent on the destruction of humanity with a deep seated vendetta to destroy the country that come from the original colonies. Grahame-Smith takes his character and story through the history and events of the last hundred or so years with depth and flow. The story never stagnates and Henry is forever trying to save the country he loves. I am a fan of Seth Grahame-Smith. I enjoyed Abraham Lincoln Vampire Hunter so much that I went on to read his first book, Pride and Prejudice and Zombies. My favorite of his books is Unholy Night, his story of the three wise men. What I enjoy most is that on one level he stays very true to history, or text, and then weaves in a purely fictional story with vampires or zombies. The readers of his books willingly suspend disbelief making these books a fun read. These books make me feel like I am pa I am a fan of Seth Grahame-Smith. I enjoyed Abraham Lincoln Vampire Hunter so much that I went on to read his first book, Pride and Prejudice and Zombies. My favorite of his books is Unholy Night, his story of the three wise men. What I enjoy most is that on one level he stays very true to history, or text, and then weaves in a purely fictional story with vampires or zombies. The readers of his books willingly suspend disbelief making these books a fun read. These books make me feel like I am part of a fanciful inside joke. 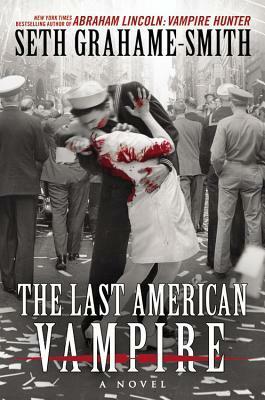 I was happy to get one of the first copies my library received of his latest book, The Last American Vampire. The book begins with the death of Abraham Lincoln and moves forward through time with the vampire Henry Sturges. For the most part I enjoyed the book. It was fun and an interesting fictional twist on history. What I did not like was that the book covered far too much too quickly. Abraham Lincoln Vampire Hunter focused on the lifetime of the former president and the Civil War, this book attempts to go from 1865 to 2001. While it was fun to meet some real-life characters of history, so much was lost in the speedy travel. I think the author would have been better served focusing on the two World Wars. I kept wondering if this was the book Grahame-Smith wanted to write or if this was the book his publisher wanted him to write. The door was left open for another book, but I hope the author thinks carefully before starting a third of this series. I left another author and her great vampire tales because she could not let the story end. If you are a fan, read The Last American Vampire. If you have not read any of Grahame-Smith’s books, read one, or all of, the first three. I look forward to his next book and hope that he moves onto new characters and history or literary classic. In 1587 the Colony of Roanoake was established and just as quickly disappeared, seemingly without a trace. To this day no explanations of what happened to those 115 colonists has been uncovered. In the fall of 1888 “Jack the Ripper” terrorized the WhiteChapel district of London with his string of murders. Just as suddenly the murders stopped and no one knows who Saucy Jack might have been or why the murders so suddenly ended. In 1897 Bram Stoker introduced the world to Count Dracula, a vampire. In 1587 the Colony of Roanoake was established and just as quickly disappeared, seemingly without a trace. To this day no explanations of what happened to those 115 colonists has been uncovered. In the fall of 1888 “Jack the Ripper” terrorized the WhiteChapel district of London with his string of murders. Just as suddenly the murders stopped and no one knows who Saucy Jack might have been or why the murders so suddenly ended. In 1897 Bram Stoker introduced the world to Count Dracula, a vampire. Many have speculated on the inspiration behind his, now classic, story but no one really knows for sure. Well, let me tell you, since reading Mr. Grahame-Smith’s book I now have all the answers to these mysteries and more. After helping Abraham Lincoln in “Vampire Hunter” Henry Sturges returns offering readers his own story, including his own “making”. Since his making he has been a vampire with a conscience, righting wrongs when he can, feeding only on the dregs of society and believing that humans and vampires can co-exist. Henry is definitely pro-human. But now Henry has a nemesis. Another vampire who believes their species should rule and humans need to be brought to their knees. In his quest to find this vampire he takes the reader traipsing through the pages of history … Henry’s version. Henry has had centuries to accumulate the wealth required to sustain his mysterious and (of course) never-ending lifestyle. Having been “outed” to American presidents Henry also moves in circles of power. As we follow along on his journey we meet many of the who’s who in Europe, Russia and North America including Rasputin, Tesla, Arthur Conan-Doyle and FDR as well having an up close and personal (Henry style) view of most major historical events from Roanoke, through both World Wars and right up to the assassination of JFK. All of that seems as though it would be a lot to cover in one book, but it all works in this one. I do not read much in the genre of alternative history because the few I did read have seemed forced in their attempt to make history fit the story. Not so in the case of Mr. Grahame-Smith’s entry. The introduction of his vampires into historical events is seamless. It is so smoothly done that, although I KNOW it’s a work of fiction, I find myself once again as I did in Vampire Hunter, tapping my forefinger onto my chin and thinking, “Hmmm – it’s possible!” The inclusion of footnotes and surprisingly convincing photos only adds to that perception. The book closes with Henry’s retirement. I hope not! I didn't watch "Abraham Lincoln: Vampire Hunter" but I saw the movie (yes, yes I know. Shame, shame.) The main character in The Last American Vampire is Lincoln's vampire partner in crime, Henry Burgess. The story follows Henry just after Lincoln's assassination, through White Chapel, to Russia and hunting down Rasputin, tasked with eliminating Adolf Hitler, the crash of the Hindenberg, WWI, WWII, and the assassination of John F. Kennedy (in no particular order). During these adventures there are I didn't watch "Abraham Lincoln: Vampire Hunter" but I saw the movie (yes, yes I know. Shame, shame.) The main character in The Last American Vampire is Lincoln's vampire partner in crime, Henry Burgess. The story follows Henry just after Lincoln's assassination, through White Chapel, to Russia and hunting down Rasputin, tasked with eliminating Adolf Hitler, the crash of the Hindenberg, WWI, WWII, and the assassination of John F. Kennedy (in no particular order). 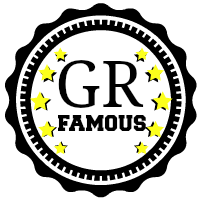 During these adventures there are many cameos by famous historical figures. This was even better than the first book in the series. Henry Sturges is fleshed out much more in this book. In making him the main character, Mr. Grahame-Smith open up over 400 years of history to flounce around in. And My does Henry flounce. Apparently vampires, and Henry Sturges in particular, had a finger in almost all major events in history. I didn't think I would, but I'm actually looking forward to the next book I the series. Forrest Gump with vampires! Our main character Henry goes through years of American history meeting many important figures. Years of killing people under the rule of various presidents, including Rasputin and Hitler. One thing that really frustrated me about this book was that it kept flipping between first and third person viewpoints, both representing the same person. Maybe it was written different, but it was extremely annoying on audiobook. It kind of pains me to give one of Seth Grahame-Smith's books one star. Because I really liked his other books. And I've thought about it for a few days and I think what was missing from this book was it's human center - in the other books we had Abraham Lincoln, the Bennett sisters, or the Holy Family. This book is all about Henry Sturges, that guy who taught ol' Abe about vampire hunting. This book follows his whole history and it can be summed up as: Bad guy you think is dead ISN'T! And muc It kind of pains me to give one of Seth Grahame-Smith's books one star. Because I really liked his other books. And I've thought about it for a few days and I think what was missing from this book was it's human center - in the other books we had Abraham Lincoln, the Bennett sisters, or the Holy Family. This book is all about Henry Sturges, that guy who taught ol' Abe about vampire hunting. This book follows his whole history and it can be summed up as: Bad guy you think is dead ISN'T! And much killing ensues. It got to be anti-climactic almost after every single bad guy kept resurfacing. And then murders someone in a gruesome way. This book was WAAAAY too gross for me. I was just skipping whole pages. And just over and over and over. Its weird to get bored by excessive gore, but that's just what happened. I haven't had this much fun reading a book since, well, Abraham Lincoln: Vampire Hunter. Which is fitting since this is the sequel. History buffs and historical fiction nerds will adore. This is the follow up novel to Abraham Lincoln: Vampire Hunter. While I had a lot of fun with that novel, this one was even more of a historical thrill ride. Here, we follow Henry Sturges after the death of his friend Lincoln as he trots through important points in history. Beginning with History buffs and historical fiction nerds will adore. This is the follow up novel to Abraham Lincoln: Vampire Hunter. While I had a lot of fun with that novel, this one was even more of a historical thrill ride. Here, we follow Henry Sturges after the death of his friend Lincoln as he trots through important points in history. Beginning with his landing in the New World before he was made, up until the early 2000s. From the true story behind the disappearance of the people of Roanoke, to encounters with Jack the Ripper while hanging out with Brom Stoker and Arthur Conan Doyle, to hunting Rasputin and trying to take down Hitler. These are but bullet points in the life and adventures of Henry Sturges. True patriotic American hero. The oldest vampire in America. Will he ever stop fighting for his country? America should hope not. 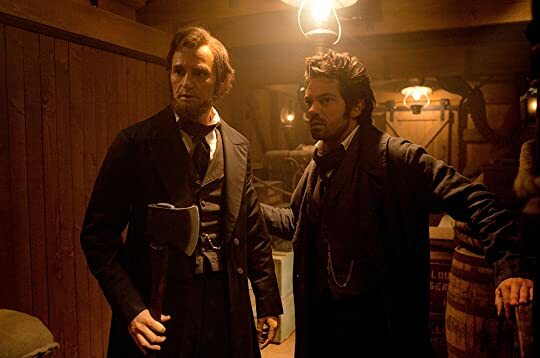 Even though this is a sequel to Abraham Lincoln: Vampire Hunter, the story primarily focuses on Henry Sturges. The vampire who befriended Abraham Lincoln and taught him how to fight vampires in the first book. It follows him through history as he meets a number or people including Bram Stoker, Arthur Conan Doyle, Jack the Ripper, Mark Twain, Teddy Roosevelt, Rasputin, Elliot Ness, Howard Hughes and John F. Kennedy. Although it is a very enjoyable read, I found the first book to be better. I love history and Grahame-Smith weaves vampires into some of the biggest events in history from the folks who disappeared at Roanoke to JFK’s assassination. 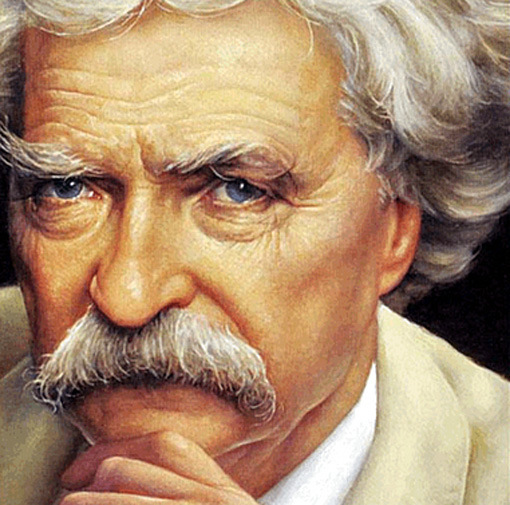 He takes us to London, with Jack the Ripper and introduces us to Tesla, Edison and Mark Twain. It was riveting from his re-telling of the Hindenburg crash to visiting Teddy Roosevelt in the White House. The tale is relayed through Henry Sturges the Vampire who hunted with Abe Lincoln. We get a full account of his life as a vampire and his patronage to America. Henry is a likable character and quite noble for a vampire. His friendships, interactions and the path he blazed had me spellbound. While Grahame-Smith twists our history to include vampire involvement he did so in such a way that it felt realistic, even dare I say plausible. I love when the lines of reality and fiction blur and he does so seamlessly. Think of this as a memoir of Sturges life with twists, turns, loss and love. At 400 pages/15 hours of audio both my husband and I were never bored. It was broken up into events and stories with an overall threat that kept us both engaged. MacLeod Andrews narrates and he has quickly become one of my favorite narrators. From voices to his tone, he adds another level of enjoyment to listening that heightens my reading experience. We came across many characters and I was amazed at his ability to give them each voice and accentuate their personalities through pitch. Grahame-Smith’s imagination, writing style and ability to tell a tall tale made the Last American Vampire a story I will long remember. I became attached to the characters and caught up in the overall plot. I loved this book. Honestly, I'm not certain that I didn't like it even more than "Abraham Lincoln: Vampire Hunter." One of my favorite things about both of these books is that Smith writes them like history books (complete with footnotes and actual photographs of things like Teddy Roosevelt posing with an elephant he'd just killed and Jack Ruby with his gun jammed into Lee Harvey Oswald's stomach). The facts he uses in his book are so... FACTUAL! I mean, seriously, the only thing keeping a pers I loved this book. Honestly, I'm not certain that I didn't like it even more than "Abraham Lincoln: Vampire Hunter." One of my favorite things about both of these books is that Smith writes them like history books (complete with footnotes and actual photographs of things like Teddy Roosevelt posing with an elephant he'd just killed and Jack Ruby with his gun jammed into Lee Harvey Oswald's stomach). The facts he uses in his book are so... FACTUAL! I mean, seriously, the only thing keeping a person from reading these books as absolute truth is the fact that s/he doesn't believe vampires actually exist. But if a person DID believe in vampires? Oh yes, everything in these books is absolutely plausible. I can honestly see some confused people who are on the fence about whether or not vampires are real reading this book, finishing it, slamming it down, and saying, "I KNEW IT! I -KNEW- THEY WERE REAL!" Ha. Seriously though, the realism in these books is what makes them so much fun and so wonderful. This review has been hidden because it contains spoilers. To view it, click here. Re read for a second time and it's just has good has the first one. Omg!!!! Another great book by Seth Grahame-Smith!!! I absolutely fell in love with this book!! I couldn't put it down. I fell in love with Henry Sturggs all over again. Of course in this book it tells of Henry's side and how he became a vampire. This books was exquisite and just mind blowing. I hope they make a movie of this. Very enjoyable read. I had no idea it was new, I'm usually very behind. I was impressed with the authors ability to stay true to historical timelines while weaving supernatural events in between. This could have been titled with "The Adventures of..." as it did read much like a video game plays. Different levels and tackling more and more difficult bosses. Lots of fun and highly recommended. Despite this being an obviously less than serious book I really found it interesting, and it kept my attention! I enjoyed Henry Sturges and the kind of Vampire he was and really enjoyed all the interesting bits of history they weaved into his tale. If there were more in this line I would read them, and have already planned on reading more by this author. A fast paced book that deserves its four star rating. This book was... I don't even know. There is so much going on it makes it somewhat hard for me to try and think of a cohesive review here. If I had to sum this book up in a sentence it would be, what the bleep did I just read!? This sentence being said in my mind over and over again with increasing emphasis as I went through the book. I managed to read most of it, though I admit to skimming the last 80 or so pages. However, the only thing that kept me reading was the thought that he honestly coul This book was... I don't even know. There is so much going on it makes it somewhat hard for me to try and think of a cohesive review here. If I had to sum this book up in a sentence it would be, what the bleep did I just read!? This sentence being said in my mind over and over again with increasing emphasis as I went through the book. I managed to read most of it, though I admit to skimming the last 80 or so pages. However, the only thing that kept me reading was the thought that he honestly couldn't make the story any more ridiculous and yet... somehow he always did. Never has the saying, "It was like watching a train wreck" been so adequate. I alternated between rolling my eyes, grimacing, and being irritated but I could not stop reading. I will try to put into words my feelings about this book. Henry is a vampire. He is the same vampire who trained Abe Lincoln to kill vampires in the previous story. In the beginning of this story he turns his old friend but it doesn't end as expected. After this follows a series of stories that are the life of Henry. Henry is one of only two survivors of one of the mysteries in history, the Roanoke settlement. This, it turns out, is one of the less notable stories about him. 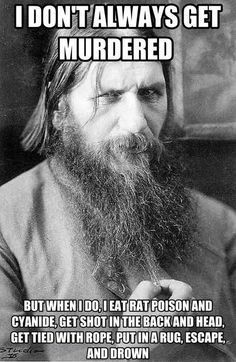 Throughout his long life he killed Jack the Ripper, killed Rasputin, and killed Hitler. He was the original one man CIA before the CIA was a thing. He was best buddies with Bram Stoker, Arthur Conan Doyle, Mark Twain, Nikola Tesla, and, of course, Abe Lincoln, just to name a few. He was in a partnership of sorts with the first Rockefeller to amass the families fortune. Oh and he also was one of the founders of life insurance. He did not, however, cure cancer... lazy vampire. Also on the note of Virginia Dare, you know that whole bit in history with Pocahontas and how she stepped in to try and keep peace by saving John Smith? Yeah you were wrong. That wasn't Pocahontas. That was really the white ginger chick Virginia who saved the day. You didn't honestly think a non-white person could do something like that did you? Silly person. Now moving on to the writing as a whole. The entire book felt overstuffed. There were multiple parts that could have been cut out and not missed at all. The idea of footnotes was a cool one but, like much of the other stuff in this book, overdone to the point where I just stopped paying attention to them since so many had no relevance to the story. In the end it was like the author wanted to write a book with all his favorite stories and people from history not caring if they would actually make a cohesive story. Perhaps it would have been better if he had split them into multiple books thus giving adequate attention to the various people and moments in history instead of trying to shove them into various tiny spaces. The gore was over done. I like gore. I really do but I enjoy it well done. The author put so much in that the book was overflowing with it. There was so much description on one of Jack the Rippers murders that I found myself not caring about it halfway through because it just got to be so much. I was completely desensitized to it and it lost any impact because it was happening so frequently in such huge amounts pretty much all in over the top ways. There was some history that was accurate and well done. There was some history that wasn't. It is fiction so the fudged history, most of it at least, didn't bother me. What did bother me greatly was the author breaking his own world rules which happened on more then one occasion. The most notable of these rules that was broken was the rule about what happens to vampires when they change. If you establish with the first change that all the man's wrinkles went away and he basically got turned into his young 20 some odd year old self again keep with that. You can't then have a vampire who remains looking ancient, pockmarked, and balding. If you set a rule keep the rule. Finally the occasional insert of a character's thoughts in the middle of action was obnoxious. It totally pulled me out of the moment and would have been so much better if it wasn't there. One of the most annoying to me was when Abe is turned he thinks, "One cell, two cell, red cell, blue cell." Correct me if I'm wrong but I'm pretty sure there was no Dr. Seuss books in circulation back then. In conclusion, this entire book was trying to hard. There were too many characters and historical events stuffed into too short a book. There was too much gore so that it became overdone and like a desperate cry for "look I can write disturbing stuff!" There was a ton that should have been cut out. And finally Henry was just too much. The author was so busy focusing on all the historical accomplishments he wanted Henry to be responsible for that Henry didn't feel like a fleshed out character at all to me. This book did keep me reading but not because it was good. 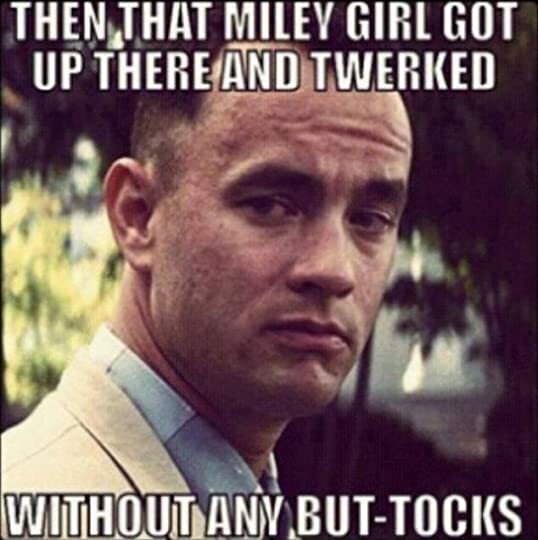 It kept me reading because it was so bad as to be mind boggling. So I give it two stars instead of one because it did keep me hooked even if it was the same way those nasty Harry Potter flavors of jelly beans had you trying them even though you knew they'd be disgusting because you just had to find out how horrible could a jelly bean truly be.